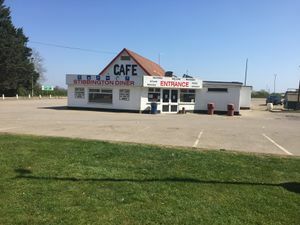 The Stibbington Diner and truckstop forms an official service station on the A1, albeit with limited facilities. It's positioned on the old Great North Road, where it has been for decades. Overnight parking costs £15 per night.